Khulna Range consists of 10 districts. The name of the districts are Khulna, Bagherhat, Sathkhira, Jessore, Magura, Jhenaidah, Narail, Kushtia, Chuadanga and Meherpur. One Range Reserve Force(RRF) is also there in Khulna. Khulna district was established in 1882. Located 333 km south-west of capital Dhaka, Khulna includes a major part of Sundarbans, the largest mangrove forest in the world. Khulna is important in terms of industry, since a wide variety of mills operate in this district. 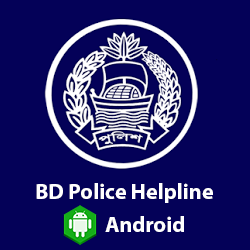 There are 9 police stations in Khulna district. 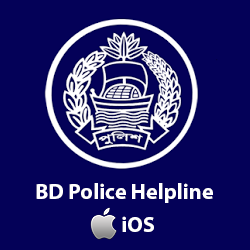 The police stations are Rupsha, Digholia, Botiaghata, Dakop, Payekgasa, Koira, Fultola, Terkhada and Dumuria. Under these police stations there are 27 police camps that are strategically placed to maintain appropriate communication among the police stations and district headquarters. Besides these there are 02 police out posts and 01 investigation center in the district. There is 01 river outside post and 01 river outside traffic post to police the rivers and 01 highway outpost to police the highway. Apart from these there are 07 other temporary camps to provide necessary support.Khulna district police played a great role at the liberation war and unknown number of police personnel were martyred. After the liberation war,the authority of Khulna district police bulit a monument at police lines. At each national occasion, all the units of police based on Khulna place wreaths at this monument to remember the martyrs. Jessore started its function as the first district of the then Britist India in 1786. District Police has 9 thanas, 25 permanent camps, 4 investigation centres and Banapole Immigration (Road Check-post) -the largest land port of the country. The police stations are Kotowali, Jhikargasa, Sharsha, Chowgasa, Manirampur, Keshobpur, Avoynagar, Bagharpara and Benapol port. During the liberation war, 104 police of Jessore police lines and 04 police of Kotowali Thana laid down lives whose memorials lie in Jessore police lines and Kotowali thana at present, Jessore. During the rule of British empire, Narail was recognized as subdivision (Mohokuma) of Jessore district. It has three thanas: NarailSadar, Lohagara and kalia. After the independence in 1971, Narail subdivision was upgraded to a district on 01 March 1984. The present police building located at Durgapur mouza beside Narail-Magura highway was launched on 12 November 1988. At present, the district police consist of four police stations - Narailsadar, Lohagara, Kalia and Noragati; five camps - Shekhati, Mirzapur, Bichali, Naldi, Peruli; two investigation centers - Bornal and Lahoria and one river outpost, Bordi. Situated on the south-west coast of Bay of Bengal, Bagerhat district stands with vast water body and forest. In 1842, Bagerhat was a Thana of Khulna Mahakuma under Jessore district. On 23 February, 1984, it became a district having a total area of 3959.11 sq.km including 1878.91 sq.km of reserve forest area. Some renowned historical places of the district are Hazart Khanjahan Ali’s (R) shrine, Khanjahan Ali Dighi, Shat-Gombuj Mosque, Ayodhya Math (Temple), Mongla seaport, Mongla EPZ, Chandramahal etc. Bagehat district police started its function in 1984 establishing police office and police lines within the old Jamindar house of Late Raj Kiranchandra Roy in Mouja-Sorui measuring 9.78 acres of land. Later, new police lines has been shifted beside Khulna-Pirojpur highway near Khan Jahan Ali Majar. Some activities of police force are still continuing in old police line. There are 9 police stations: Bagerhat, Fakirhat, Mollahhat, Chitalmari, Kachua, Morrelgo Sharankhola, Mongla and Rampal and 27 police camps/out posts. A good number of Armed Police Battalion, Range Reserve Force are working in aide to district police for maintaining law and order. Magura District police has started its journey in 1984 as Magura subdivision turned into a district. The first police super was Mr Narendronath Jain. Both police office and police lines were established in 1985. The districts oldest police establishment is Shalikha Thana, which was built in 1922. Now Shalikha Thana bhabon is being used as hazrahati investigation centre after shifting it from Shalikha to Arpara. 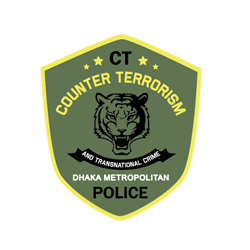 The district has 4 police stations-- Magura Sadar thana, Mohammadpur thana, Shalikha thana, Sreepur thana; 2 investigation centers-- Hazrahati investigation center in Shalikhathana, Nohata investigation center in Mohammadpurthana, 8 police camps and one town out post (TOP). Jhenaidah was a subdivision under Jessore district. Jhenaidah subdivision was converted as a full district in 1984. There are 6 police stations: Jhenaidah, Shailkupa, Harinakunda, Kaligonj, Kotchandpur and Moheshpur; 23 permanent police camps, 7 temporary camps and 1 police Investigation centre under two circles. All police camps and investigation centers mentioned above were established with a view to control the law and order situation successfully in all interior area. Kushtia district has an area of 1621.15 sq km and is surrounded by Rajshahi, Natore, Pabna to the North, Chuadanga, Jhenaidah to the South, Rajbari to the East, and West Bengal and Meherpur to the West. Ganges, Garai, Mathabhanga, Kaliganga, and Kumar are the main rivers flowing through the district. The house of Fakir Lalon Shah, the founder of the Baoul faith is located at Cheouria, about 2 km from the Kushtia railway station. Kushtia district has 7 police stations. They are Kushtia sador, Kumarkhali, Khoksa, Mirpur, Veramara, Doulotpur and Islami university Thana. Chuadanga, having an area of 11,70,87 sqkm, is a small fronter district of Bangladesh at its south-western part. During the liberation war, Chuadanga was declared as first capital of the country. Later, the capital was shifted to Mujibnagar on April 17, 1971 due to some technical reasons. After the Indo-Pak separation in 1947, Chuadanga became a subdivision of Kustia. In 1984, it became a fully featured district. It has four police stations -Chuadanga Sadar, Damurhuda, Alamdanga and Jibonnagar; 1 police line, 1 camp, 2 investigation centres, 1 immigration check post, 15 permanent police camps and 16 temporary police camps. Satkhira, having an area of 3858.33 sqkm, is a district that lies in the south-western part of Bangladesh and under Khulna Division. Satkhira Mohakuma was declared as a district in 1984. In 1985, the office of the Superintendent of Police was transferred to old Collectored building in accordance with the resolution of the ministerial level task force meeting. The district consists of two municipalities, seven upazilas, 79 union porishods, 08 police stations, 08 police camps, India-Bangladesh (Bhomra land port) immigration check post, 03 out posts and 1436 villages. The police stations are Shatkhira, Kolaroa, Tala, Kaliganj, Shamnagar, Debhata, Ashashuni, Patkelghata. The Sundarbans, the largest single block of tidal halophytic mangrove forest in the world, is adjacent to the district. Meherpur is a district in South Western Bangladesh which is also the smallest district of Bangladesh. Before 1984, it was a part of Kustia district. It is a historical district in Bangladesh because of the fact, the proclamation of independence was solemnly made at the village Baidyanathtola, Mujibnagar, Meherpur on 17 April,1971. On this very day the first Provisional Government of Bangladesh took oath here. The Bangladesh Government held a formal inauguration ceremony at the mango grove of the village Baidyanathtola (later renamed Mujibnagar) under Meherpur district. On that ceremony, the first Guard of Honour to the first ever Government of the Peoples Republic of Bangladesh was commanded by a Police Officer-Mr. Mahbub Uddin Ahmad , Bir Bikram, the then SDPO of the sub division Jhenaidah. 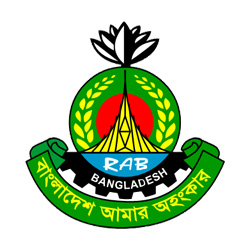 It has glorified the contribution of Bangladesh Police during the liberation war in 1971. Meherpur district has 3 police stations. They are Meherpur, Gangni and Mujibnagar.